AAA Australian Flags and Flagpoles is a market leader in manufacturing, designing, and supplying an exclusive range of flags, teardrop flags and flagpoles products in Melbourne and Sydney for over 25 years. We have a wide range of customers from different sectors,such as event companies, sign companies, licencing companies,and elsewhere.We take small orders and personal orders as well. We use the best quality fabrics for manufacturing our flags. Our wide range of exclusive products consists of teardrop flags, fully sewn flags, bunting or pennants flags, Australian and international flags, and much more. Our high quality printed poly-woven flags consist of unique designs and logos as per your demand and requirements. We always take care to supply flags with flag clips to our customers. Our delivery services are very fast and reliable. And if you can find a better price for Australian made products, we will beat it! We supply the best quality fabrics available to manufacture our flags as we believe quality always shines through rather then price even thou we have a pricing policy to match or beat any written quote on Australian made flags. We can manufacture quality fully sewn and printed poly woven flags with your logo or design. Any size - from 1 - 1000 pcs. All our flags are of the highest quality fabric available and will outlast most of the cheaper poly knitted flags. All our flags comes with flag clips and we offer a fast and reliable service. Teardrop flags are one of the most popular flags for advertising display of both indoor and outdoor events. We deliver teardrop flags in a bag, which acts as a complete display system for you because this self-assembly kit consists of a high quality printed teardrop flag, a fibreglass or an aluminium flagpole. 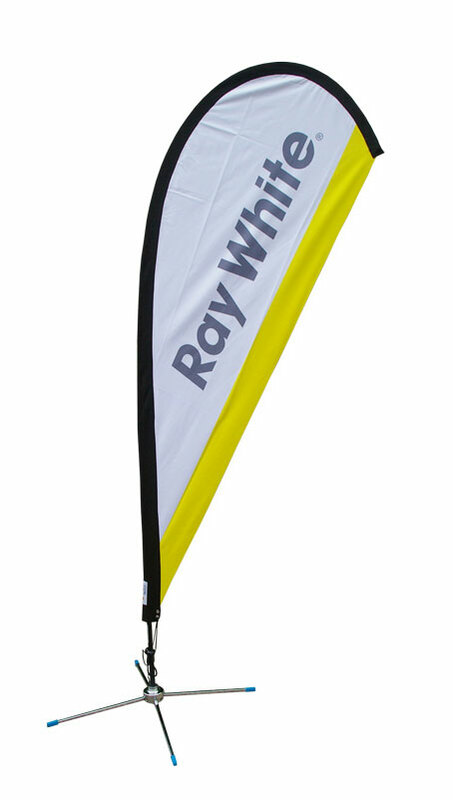 We supply this dye-sublimation teardrop flags with a spike base and a pole of about 3-metre height. It is very easy to use anywhere because we supply a hard-standing cross stand, which is an establishing water-filled weight mechanism that helps the flag to stand strongly on a mountain region, an indoor or outdoor plain region, a car wheel, or any other type of surface area. It’s a very effective advertising medium for real estate business. These flags are characterised by an applique on the hand cut heavy duty 600 deniafabric. These fabrics are called bunting. We are renown among both our national and international clients for providing all types of designs and code flags. They are easy to repair, long lasting, and look better than the printed flags. They are more expensive than any other types of flags, but they are worth it. If you want to order flags to celebrate any festival or to display fun, then bunting or pennant is the best option for you. Bunting flags stand for adding colour, fun, excitement, and a visual invitation to any occasion or event. It is one of the cheapest and the most effective ways of displaying your emotions. We use the finest quality of fabric for bunting flags. We also print company logos on these flags to increase the brand awareness of your company or services. 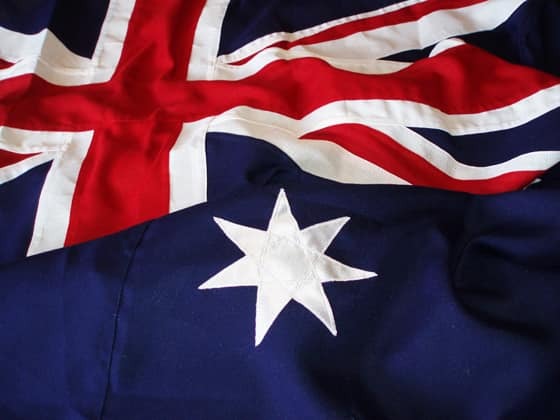 We are areputable supplier of a wide range of international flags in both Melbourne and Sydney for over25 years. Our high-quality international flags are made up of two types of fabrics. They are either poly woven or fully sewn flags. We manufacture all international flags as per the Australian standard of 2-to-1 proportion to maintain their consistencies and simplicity. Our flags are the first choice of our international customers because we always take care to supply the correct country flag ratio sizes. We manufacture and supply international flags and code flags in a wide range of size as per the requirements.They are mostly appliqued and fully sewn flags made up of high-quality material. We manufacture them on fence bunting and their thickness comprises 600d. International code of flags are available in several different sizes, which are all fully sewn and appliqued flags made from the highest quality fabrics available. Most flags we manufacture are on defence bunting and are 600d thick. This is defence force stringent requirements. For more information on our products and prices, please feel free to contact AAAAustralian Flags and Flagpoles on 0400 552 663 or sales@aaaflags.com.au.